Happy Sunday all! I just received my Wet N Wild Unicorn Glow box this week and I had to start playing around right away. Anyone else like that with new makeup? No matter what time of day it is, if I come home with new makeup, I wanna play and stick it on my face right away. Which, honestly, is sometimes at night and then I don’t wanna wash off my face. I’m working on my patience level! So how about some swatches, review, and a makeup look today with Wet N Wild ColorIcon Rainbow Highlighter in Bronze Over the Rainbow, Everlasting Glow, Unicorn Glow; Wet N Wild Megalast Iridescent Lip Color in Unicorn Soul and Immortal Tears; Wet N Wild ColorIcon Loose Pigment in Mythical Dreams, Unicorn Wishes, Pegasus Flutter. Let’s start with the highlighters, shall we? First up is Wet n Wild ColorIcon Rainbow Highlighter in Unicorn Glow. This one is a literal rainbow of color. I used my fingers swiped across the colors and I didn’t press very hard (lesson learned for the next two swatches). Above photo is under my lightbox lights. This photo is in the sunshine. Next up is Wet N Wild ColorIcon Rainbow Highlighter in Everlasting Glow. This has pink in varying shades and white and gold. The top white has more of a purple iridescent look. Last is the ColorIcon Rainbow Highlighter in Bronze Over the Rainbow. This has shades of gold, bronze, brown and white. Okay next is the Wet N Wild ColorIcon Loose Pigments in Mythical Dreams, Unicorn Wishes, Pegasus Flutter. Spoiler: I hated these. 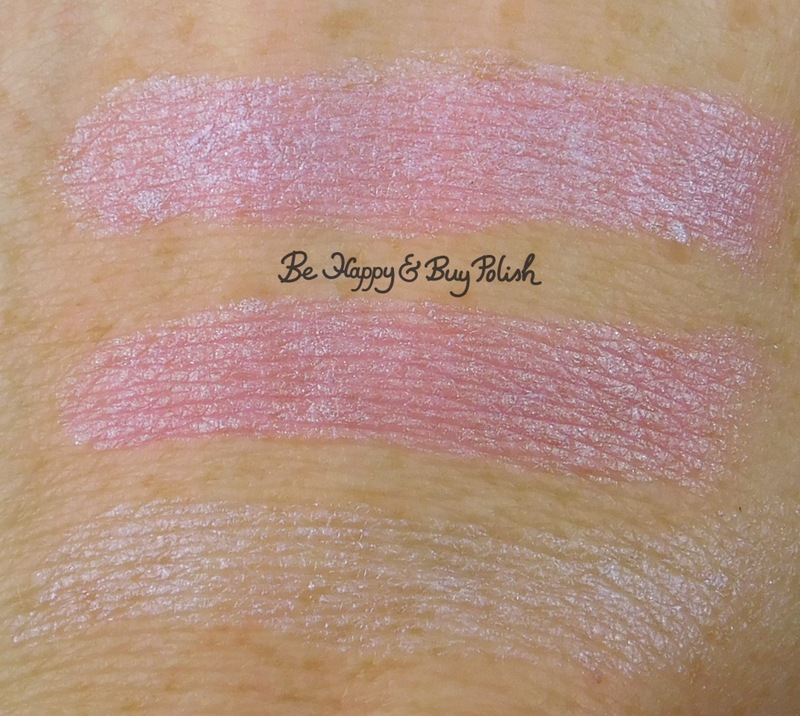 You’ll see my look later on but even though these are so pretty swatched on my arm, they were seriously hard to work with. They each have these shaker tops which is super hard to get the pigment out. But to take off these tops – is seriously like pulling teeth. It ain’t easy, is what I’m saying. From the bottom: Mythical Dreams, Unicorn Wishes, Pegasus Flutter. Swatches taken under lightbox lights. Lastly are the two Wet N Wild MegaLast Iridescent Lip Color Immortal Tears and Unicorn Soul. I really like these so far! Staying power is really nice and the shimmer is beautiful on the lips. From the bottom: Immortal Tears, Unicorn Soul and then Immortal Tears over Unicorn Soul. So for my look, I decided to use the iridescent lip color in Unicorn Soul, the loose pigments in Pegasus Flutter and Mythical Dreams, along with the Rainbow Highlighters in Everlasting Glow and Bronze over the Rainbow. 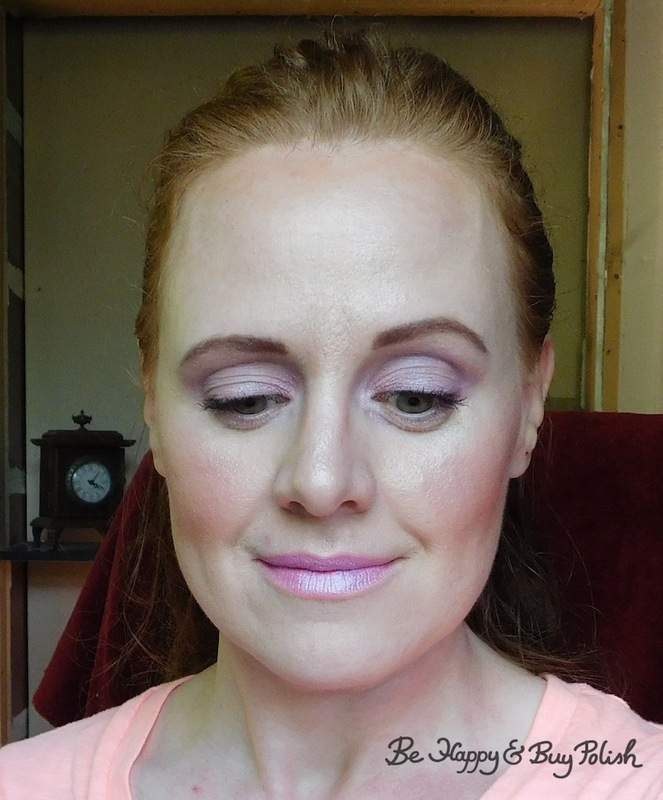 I also used the Wet N Wild Megaglo Illuminating Palette in Catwalk Pink. 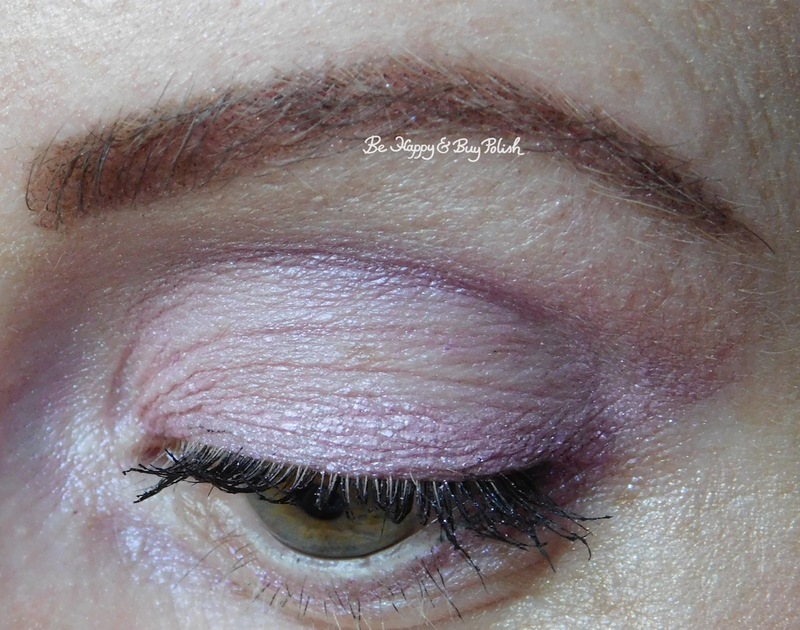 I started off with the neutral matte eyeshadow from the Wet N Wild Fergie CenterStage Photo Focus Studio Eyeshadow Palette in Milano Collections. 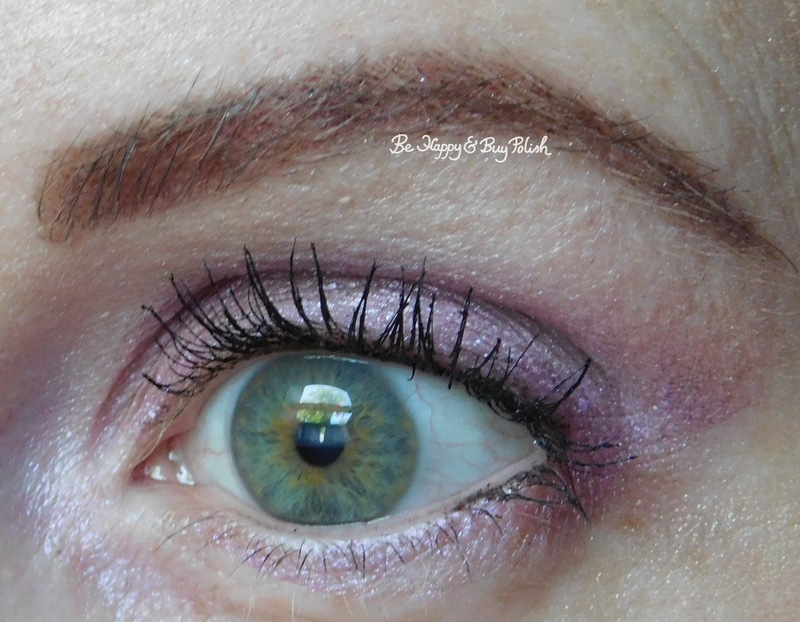 I then tried applying Pegasus Flutter on the lid and Mythical Dreams in the outer corner dry. Yeah, that didn’t work – they just blended off basically. So then I tried using a makeup setting spray on my brush, then dipping into each loose powder. Still didn’t work. Lastly, I tried applying Glamour Doll Eyes Foil Me (a loose powder setting gel [? I guess you’d call it?]) on my lid then the loose powders. Yeah, still didn’t work. At this point, the baby woke up from his nap (early) and I’ve wasted most of my time to do makeup on trying to apply eyeshadow! Now I’m no professional makeup artist but I feel like I did my due diligence in trying to get these products to work. I actually feel pretty embarrassed showing you this look because it doesn’t look good at all, in my opinion. But I wanted to show you how these products look & perform for just a regular person who has a passion for makeup. I used the Rainbow Highlighter in Everlasting Glow for my highlight. I used the Rainbow Highlighter in Bronze Over the Rainbow for my contour. 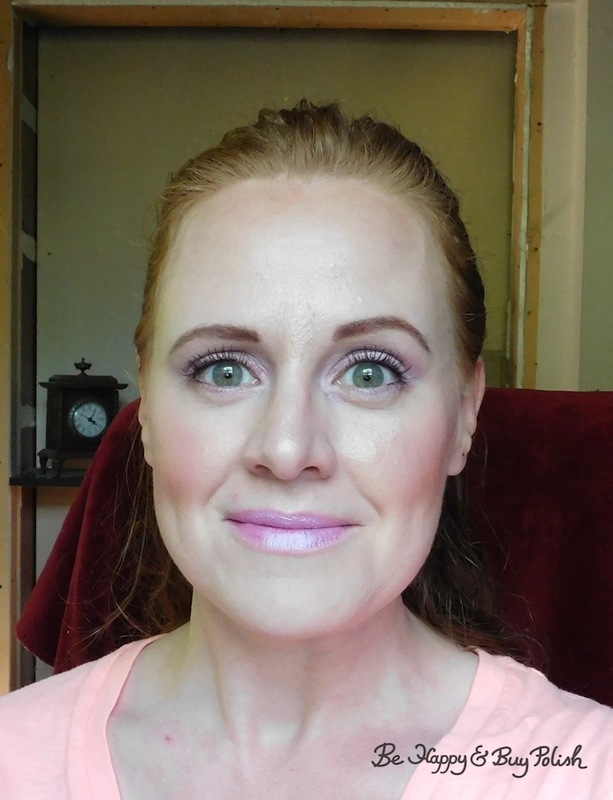 I then used two of the shades from the Illuminating Palette in Catwalk Pink for my blush. I think I was a bit heavy-handed with Everlasting Glow but I do like how the Rainbow Highlighters performed. A poor close-up photo but I just had to show off that shimmer up close. Even though I’m really bummed (tbh ticked off) about those loose pigments, overall I’m really happy I purchased the Unicorn Glow box. If you made it this far (congrats! ), I’d love to know what your thoughts are about these products. 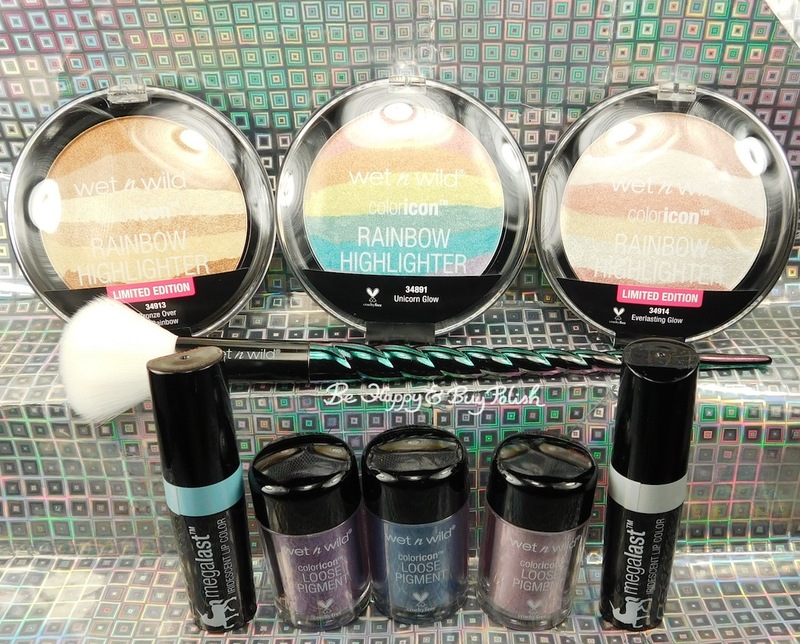 That unicorn glow highlighter looks so awesome in the package, but I guess it’s probably not the most practical. 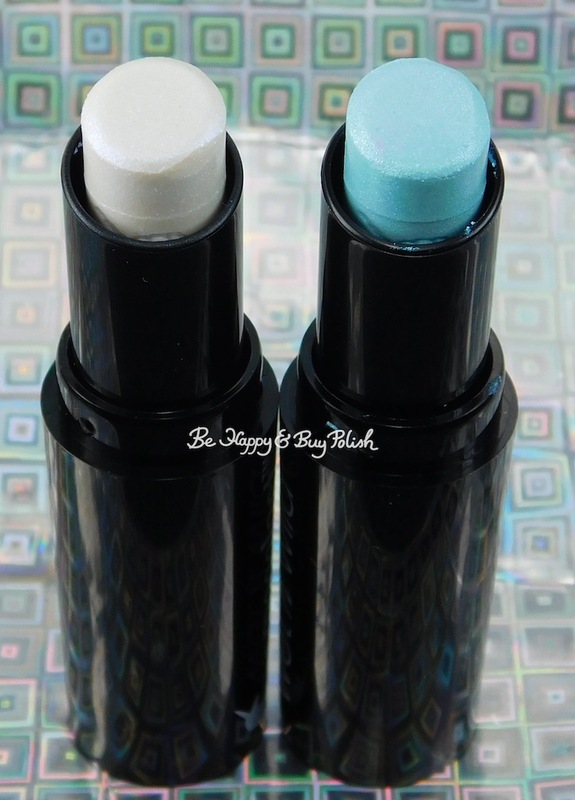 I really like those iridescent lippies though! Too bad the loose pigments didn’t work for you, perhaps you can figure out some fun nail art using them?